Lunatic: Or Jesus was a lunatic insofar as he really believed he was who he said he was and yet actually died for this identity, even though it wasn't true. Lord: Or he was and is Lord, he was actually who he said he was. But nowadays, anyone who leaves the argument there is not really addressing the questions of scholarship let alone the questions of culture. The presupposition behind the "Liar, Lunatic, or Lord" argument is that Jesus actually was going around making claims to deity. However, In actuality, Jesus said a lot more about the Kingdom of God than he ever said about himself. It is arguable whether or not Jesus saw himself as God and it the nature of such knowledge is debatable as well. It is true that, if we are to trust the gospel accounts, Jesus saw his vocation as wrapped in with that of Yahweh. He did see his work as strangely bound-up in what God was doing in the world. And Jesus also saw his life as caught-up with God's presence with and in his people. People will often look to the Johannine gospel account rather than the synoptics to argue that Jesus thought he was God: they'll look at Jesus saying, "I am the way, the truth, and the life. No one comes to the Father except through me..." as the ultimate claim to deity. But John 14:6, taken literally with context--also considering that Rabbis sometimes referred to the Torah as the Way the Truth and the Life--would be a claim to being the Torah itself or incarnate. Now some may have seen Torah as an incarnation of God, but few would have argued that the Torah is God. Jesus' way may be the exclusive hope for salvation, but that does not necessitate a claim to divinity... in fact, it's far-fetched to say so since Jesus' references to "the Father" imply a separation of identity. The same is true of verses such as "I and the Father are one." A claim to oneness with God is close, but is not the same as a claim to divinity. The simple phrase "I and the Father...," once again, implies a separation with which monotheistic trinitarian theology must deal but it does not necessitate that Jesus thought of his oneness with God the same way we usually do. Whereas John's gospel does little to necessitate a rational understanding in Jesus' mind of his own identity as divine, the synoptic gospels do even less. All this is not to say that Jesus was not God, in fact I truly believe that He is, but it is to say that Jesus may not have thought of himself that way, and he certainly didn't go around making broad claims to deity. Therefore one could accept that Jesus did not have to be crazy to think of himself the way he did--as uniquely involved in God's work in the world and in the coming of God's Kingdom (in fact, many saw themselves this way and were essentially wrong). He may very well have been wrong in his claims but his willingness to die for them may still be rational, that is, if ever a willingness to die for something can be rational. Martyrs die for similar beliefs and we don't need to say that they're lunatics. If he was a liar then he was bad at it, for his lies profited him only death. Therefore Jesus could have been a liar, a lunatic, the Lord, or he may have been none of the above if the presupposition that Jesus thought he was God is wrong. He may just be misunderstood by interpreters who assume his claims were irrational is not true. Thus the "liar, lunatic, or lord" argument gets us nowhere among savvy scholars. If we're going to continue to affirm Jesus' divinity then we need to find the right starting point for our rational, and I would say that this is totally possible. As I said before, I would argue that Jesus is God, that he saw his vocation as such and that his presence and solidarity with people was God's presence and solidarity with people. I would make the claim that Jesus' death on the cross was God's death on the cross. I would base this partly but not solely on Jesus' claims about his work and identity. The primary basis of this claim is what we have after the fact. What do we do with all that Jesus said and did? What does it say about God and God's Kingdom? 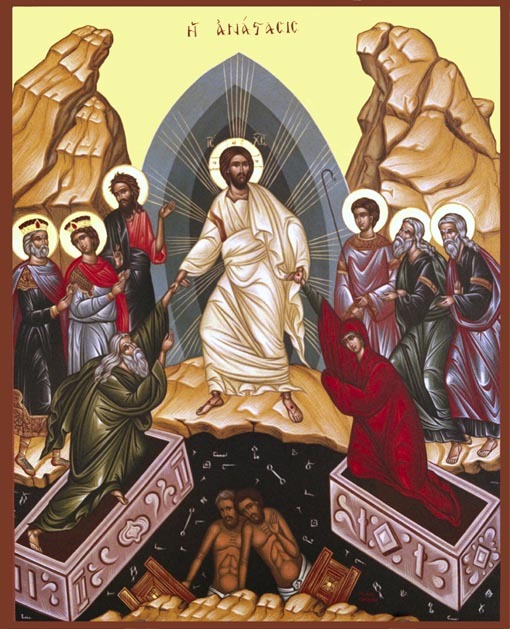 After the culminating event of Jesus' life, i.e., the resurrection, we have the responsibility of working out theologically what has happened. There is no other conclusion which makes sense of what Jesus said and did, in embodying God's Kingdom and bringing salvation, other than the conclusion of his shared identity with Yahweh. This is how the first Christians eventually dealt with it and it's the only way for us to do so. The place to start then is not the claims of Jesus but the response of the disciples after Jesus' death. We can make sense of Jesus' claims only after we've seen them embodied in his death and resurrection. Many would-be Messiahs came and went, preached and were crucified. Disciples would would go back to their trade after their Messiah failed, as the disciples of Jesus did after his death (remember that Jesus came to some of his disciples after his resurrection while they were fishing in John 21). But what could have prompted the disciples to continue Jesus' ministry other than resurrection. Perhaps either they were liars, lunatics, or the resurrection had indeed brought the reign of God through Christ into the world. Mr. Ellis- Hi, I'm just a random subscriber to your blog. I subscribe because you offer a little bit more of an unorthodox viewpoint though your conclusions seem to be consistent with historic Christianity. Basically, for fun, I’ve decided to write a quick response- for fun and for my own benefit in clarifying. In this post, I feel that you have overlooked much in the gospels. With a bit of a closer look, I believe that you’ll find that Jesus certainly affirmed that he was indeed the God-man, not leaving room for readers of the New Testament to believe him to be anything but the Lord of the universe. I guess I’m not really sure where to start with this as I feel it is on nearly every page of the gospels. Let’s just look at one example of one passage I was thinking about this weekend. Here, facing Pharisees who wanted to murder him, this would be the perfect time to clear things up. We can picture Jesus saying, “Hey, hold up guys- I’m not equal with God! What are you guys talking about?”, but he does not. He goes a completely different direction. In v. 19, he continues. The first half of the verse is no trouble and isn’t controversial. Look at the second half, though- “whatever the Father does, that the Son does likewise.” Whatever the Father does? Loves and has compassion? Yes. Creates the universe? Yes. Runs the cosmos? Yes- whatever the Father does. In v. 23, Jesus speaks of “honoring the Son just as they honor the Father”. A heavy (blasphemous) claim if he speaks in some generic sense of God as Father. Of course there is so much more. When Peter confesses Jesus as the Christ and is not rebuked. Also look at when Jesus calms the storm. First of all, he commands a storm. Second of all, there’s a purpose to the demonstration(Ps. 65:5-7) Only God commands the storms. Then there’s every time he calls himself the Son of Man. This is a reference to Daniel- not, as Schweitzer thought, some generic reference. He certainly knows who He is, and He is the Lord, Emmanuel- God with us. Lemme start by saying thanks. Thanks for reading and thanks for offering your thoughts. I’m actually glad you challenged me on this post because I’m still working through it. Let me offer something of a response. What you should know is that a claim to Christhood/Messiahship was not, in Jesus’ context, a claim to divinity, neither was a claim to be the Son of Man (although that was among the more controversial of Jesus claims) and neither was a claim to be the Son of God (even Herod made this claim). So when Peter called Jesus the Christ, Jesus may have believed himself to be the Messiah but the Messiah was still a person not God according to their understanding. As to what’s going on in John 5, I first of all want to say that this reference demonstrates something I only hinted at in the post: you pretty much have to go straight to John to find something this close to a claim to divinity (the synoptics seem oblivious to such language) which raises the question; are these the original claims of Jesus or are they just John’s understanding of who Jesus was placed into the mouth of Jesus? This may not seem like a good question to you and me since we trust the validity of John’s gospel but to other folks it’s a very important question since there are no other accounts to back these passages up (at least the synoptic gospels help each other out). I’m just saying that you have to try to use the synoptics and they, unless I’m wrong, never use this “I and the father are one” type language. It’s good to point out the storm calming incident. I look to this story for evidence that Jesus must have been God and I’m sure that if he didn’t know he was God he would have been inwardly frightened at what he did. Only God can control the chaos (which is what the storm on the sea represents if you make the Tehom connection) and so Jesus is doing what only God can do. But this is still a vocational understanding which does not necessitate shared singular identity. Sorry this response got so long. I know you were just using examples of which there are many but I have offered some response to them which may indirectly apply to the other examples which might come to mind. Jesus did see himself as unique, as Messiah, as the Son of Man, and as in some way sharing God’s vocation and even God’s identity but this is not the same as saying Jesus thought he was God as though he could still remember the angels singing in heaven. He didn’t make any claims which automatically amount to “I am God.” It did take the first Christians quite a while to work out Jesus’ identity theologically. It would have taken them no time if it was really as simple as you make it sound. There is a thin difference between saying “I share in God’s identity” and saying “I am God” which is still thick enough to render the “Liar, Lunatic, or Lord” argument as basically useless… or at least not to be left standing on its’ own. I hopes this clarifies my argument. I don’t expect you to agree quickly with what I’ve said but I do want to show that the issue is complex. Thanks for sharing your thoughts and arguments. I need someone to challenge me on these things, so I am grateful for your comment. Isolating any book is a weak understanding at best. We use the entirety of the Tanach to understand the gospels don't we? I understand that you approach the scriptures with humility Wes, but once you meet the Trinity don't shrink back from it. I have found that embracing and exploring all aspects of it have made the words of Jesus take on whole new dimensions. I know you believe it and may even have read more than I! If you haven't read Jurgen Moltmann's "The Trinity and the Kingdom" or "The Renewal of Trinitarian Theology: Themes, Patterns, and Explorations" by Roderick T. Leupp (this one is dynamite) then you'd love them! When we remove the Divinity of the Trinity, we open ourselves to cultic worship. You don't know this about me Wes, but I was raised in a cult called the Worldwide Church of God (great redemption story of a whole church btw). It was a church that had a prophet (Herbert W. Armstrong) and basically mixed the beliefs of the Mormons, Jehovah Witnesses, and something called British Israelitism. The story is far to long for here, but the Holy Spirit led my family (who had been their for about 15 years) out of that church. Because we had been "duped" so to speak, we made it a point to study theology and cults as a family. Imagine those nights sitting around the fireplace studying theology as a family! Ha! All this to say one conclusion, the first doctrine that a cult removes is the Trinity. Once it is stripped, all other doctrines take are likened to a hanging chad in a Florida election. Only a live prophet can make sense of things when the Trinity is in question. Many people want that. They want a man here on earth to run them ragged for purpose and good conscience. Our purpose and good conscience on make sense with a Trinitarian understanding. Not to say I don't love people who don't believe in the Trinity. I didn't used to! Besides, my best friend in the world is a Mormon named Clint. p.s. If you don't have a friend who is a Latter Day Saint--get one! I have found their church to host a overwhelming bounty of good friends who challenge me to live what I believe and encourage me along the way. Peace to you Wes. Paragraph 3- "Once it is stripped, all other doctrines are likened to dangling chads in a Florida election." and "I didn't used!" is in reference to the belief not loving people. It should read, "I didn't used to believe in the Trinity!" Sorry about that... early post with no coffee in me yet! Thanks for drawing out the Trinitarian aspect here. I have read Moltmann's book but not Leupp's, it sounds great. My personal favorite book for understanding Jesus' divinity is "On the Incarnation" by Saint Athanasius. If you haven't read that one, it's remarkably clear for how early it is. Although I believe the trinity is supremely important if not essential to Christian theology and that, as I mentioned earlier, many passages and claims of Jesus are explainable through Trinitarian theology, I still think that much of what I've already said applies. The Trinity, I would say, is biblical (if ever such a word should be used) in that one you approach scripture with it as your lens certain things are made clear and a light tends to turn on. But we need to be careful because, though it's probably the only appropriate time to do so, we are imposing a later theological construct onto a text which was written long before Trinitarian thelogy was fully constructed (with great help from Athanasius). It's one thing to understand passages using the Trinity but it's another thing to act like Trinitarian theology is spilling from the mouth of Jesus. I do not think that's what's going on because I think that Jesus' contemporaries did not get Trinity from what Jesus was saying. Jesus, though we can explain his identity with the Trinity in mind, does not make any claims which amount to, "I am the second part of the Trinity" as though he can still remember angels singing in heaven. Therefore C.S. Lewis's "Liar, Lunatic, Lord" argument is still not helpful even with the Trinity in mind. Jesus is the Son and is God as Trinitarian theology articulates, He just didn't go around saying it. Jesus understood his shared identity with God as a vocational one (which is something Trinitarian theology tries to take us past) ad therefore I don't think he "knew" he was a plumber the way a scientist knows the earth is round (remember Jesus was pre-enlightenment). Let me give you a couple of resources from N.T. Wright. and http://www.ntwrightpage.com/Wright_Jesus_God.mp3 This is a talk that Wright gave in 1999 which I have listened to a few times so it has influenced my thinking quite a bit. Thanks for sharing a bit about your past. I appreciate your story and am glad things turned out as they did. NT Wright is one of my favorites. I'm in the middle of "Evil and the Justice of God." I have read "On the Incarnation." In fact, Athanasius vs. Arius was one of my graduate study projects. Wonderful stuff! A balance between Wes and Rudy might be appropriate for us to think about. 1) Understanding the path to "orthodoxy" can remind us why certain doctrine have been upheld for so long. Namely, the doctrines are very helpful for helping us understand the scriptures. 2) Understanding each book on its own terms is also very important because each book has something unique (and sometimes contradictory) to say to the community of God. 3) We achieve a balance when we take (1) and (2) and try to bring them together (i.e. upholding the large view of orthodoxy while looking into and seeing the diversity of the narrow view).